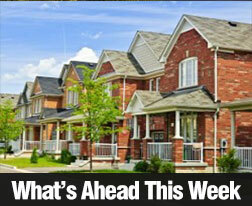 When I tossed CoreLogic’s third-quarter homebuying report into my trusty spreadsheet a few surprising trends emerged. Here is the fourth key thing you should know about the summer of ’15 in Orange County housing. Yes, Orange County’s median home price is up 5 percent in a year. But when you look at prices from spring to summer, a mild cooling trend can been seen. The Orange County median dipped 2.1 percent from June to September. That’s not terribly unusual. Last year, prices fell 2.7 percent in summer. The median has fallen from the second quarter to the third quarter in eight of the last 12 years. Part of the seasonal dip is market reaction to the end of the traditional spring rush and the family orientation of earlier-in-the-year homebuyers. These shoppers tend to buy larger – thus pricier – housing. Since 1988, the Orange County median has dipped an average of 0.6 percent in the third quarter – the weakest three-month period – after rising on average of 4.1 percent in the second quarter – the strongest three months, historically speaking. Even if softer summertime prices are to be expected, I’m not going to totally ignore this midyear stagnation of what Orange County homebuyers are willing to pay when the local job market is the strongest it’s been in roughly 15 years. From Bob Phillips: Every year I tell my blog and mailing list readers that the fourth quarter of any given year is typically the BEST time to be a buyer, in Orange County, and this year doesn’t appear to be an exception. The primary reason this is true is because almost other buyers have already bought, closed escrow, and moved into their new homes. This leaves an abundance of unsold homes – and their owners – waiting for ever declining numbers of buyers looking to make a purchase. THAT condition makes for any sellers who truly need to sell, to become more anxious, as they’re hoping to get their property closed sometime soon – before the market dries up completely, for the Holidays. So, if you’re in a position to buy a new place to live, this next two, two and a half months, will be your best opportunity to get a good buy, before prices start to go up again, next Spring, like they usually do. If you’re thinking of buying, give me a call ( 949-887-5305.) or shoot me an email, ( BobPhillipsRE@gmail.com ) and let’s go house shopping.